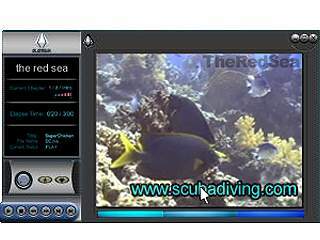 The equivalent of a real-time DVD reader designed for the Internet, the MC Player is a powerful interactive audiovisual tool designed to play Hyper-digital Videos (.hdv) and Alamgrams (.alg). Chapter selection, hyperlinks within web videos, etc. 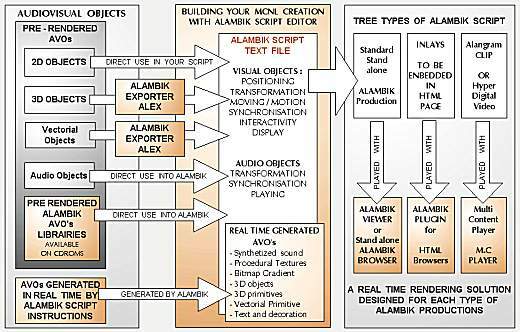 Alambik® 32 bit Operating System for X86, FP:250KB. Ideal for beginners, this FREE version of the Alambik Exporter for Discreet's 3D Studio Max® gives you the opportunity to preview 3D objects - and then export them for use in any Alambik® script, including the free ABC scripts! Preview and export 3D meshes (MSH). Compress and optimize 3DSMAX® files up to 75%! You may use 3D objects with any of the Alambik Editors. The Alambik Standard Exporter is an ideal solution for individuals-sized companies. It supports preview and export of most 3D objects, animation tracks, as well as full scenes produced with Discreet's 3D Studio Max version 3 and 4. License for all profiles, intalled on one single PC. All exported content may be used and sold in your Alambik script productions. The Alambik Pro Exporter is the ideal solution for professionals. 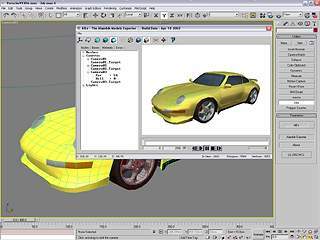 It supports preview and export of all relevant 3D objects, animation tracks, parent-child hierarchical relations, skeletal animations, and full scenes produced with Discreet's 3D Studio Max version 3 and 4. Preview and export of skeletal animations. License for all profiles, installed on one single PC. This production tools lets you quickly and easily author Hyper-digital Videos. Intended for Internet video site providers, who seek an effective solution for creating interactive multicontent videos - at an unbeatably low price. will always bring back the audience to your site! License permitted on one single PC, for Internet use. Ideal for beginners, this free sample library will help you hone your first scripts to perfection. Like all Alambik® libraries, it is quality-compliant to FAC-NET specifications. Use is free of charge for all Alambik® productions. Audio formats: wav, xm, ogg, mp3, etc. Visual formats: jpeg, jpg, gif, spr, pnl, scn, etc. Conceived for professionals but available to all, the Alambik Pro AVO library lets you create your onwn objects out of those you've selected from the library. 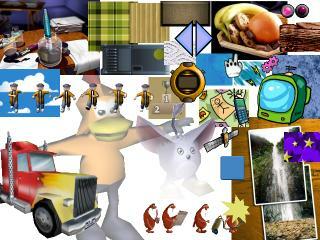 High definition pictures and textures. These lifelike 3D characters are the result of a thorough study of the human anatomy. Designed and optimized for the 3D engine of the Alambik Viewer, the light wireframe structures of these female characters were conceived to be animated and to be used in all sorts of productions. Wireframe and textures are optimized for online use. Over 50 basic animated sequences conceived to be easily linked up. Licence to alter wireframe structures and textures. This document helps you get started with the Alambik® Editor. 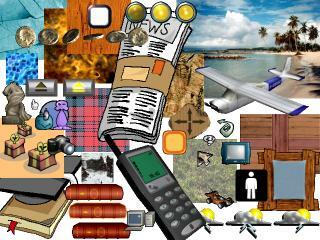 Each of the many functions of the interface fully described. 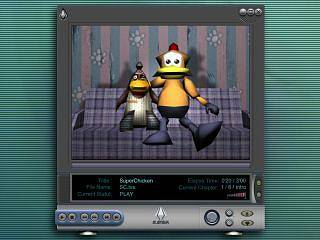 Several screen shots ulustrate the functions. This complete yet compact user guide lets you master the Alambik 3DS MAX Exporter in no time. This documentation was conceived not only to guide you step-by-step through discovery of MCNL (aka Alambik Script 4) but also to be used as a definitive reference. 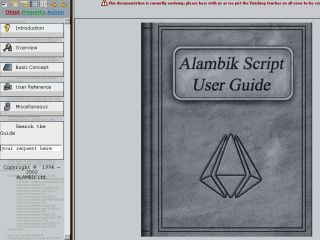 Alambik® Script 4.0, the S.O.U.L. system, is the heart of the authoring platform. Among the 2000 natural commands available today, the state of the art AVO Formats and AVO Processing functions are ready to be set up in your text script with an infinity of combinations . Alambik®Viewer Suite (client side software), interprets and generates the scene in real time, and gives you the possibility to interact with AVOs inside the scene. 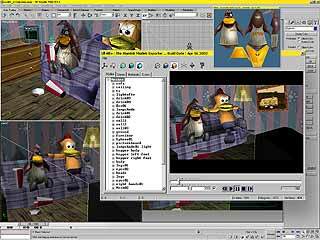 Alambik®'s Original AVO CDRoms offers high quality online elements for your multi-content productions. Alambik® Software Products Quality Charter. At Alambik Ltd, we strive to ensure the software products we develop and market are of the utmost standards. We endeavour to satisfy the users of our software products by the constant will to improve our products and a good understanding of our customers needs which comes from a ten years expertise in our field. The Alambik® real-time rendering software products are signed (i.e. 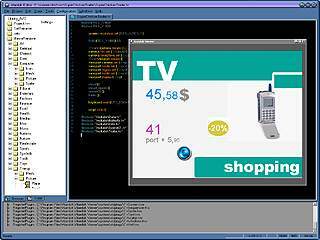 publisher authenticity verified) by VeriSign Commercial Software CA. Alambik Ltd will always let you know before on-line updates of any Alambik® software product. Alambik® installation programs always allow you to designate the local installation disk and directory. Installation of Alambik® software products only copies files into the designated directory (except the screensaver module which will be installed into the Windows system). None of your computer files, beside the Alambik® system files on updates, will be erased or replaced. All Alambik® Software products come with an un-installation program. None of the Alambik® software products send any personal information during the installation or after (except licence protection systems and keys which may be checked by Alambik Ltd).